Lately a lot of my friends have been travelling to Ipoh and Penang lately for the amazing local food. Did any of you manage to go during the holidays? No? Well, did you know that....We can also grab some of Ipoh and Penang's amazing dishes, especially White Curry. Where you ask? You won't believe it but for this festive season, YES I'm taking about Christmas (boy, does time flies by so fast), OLDTOWN White Coffee will be collaborating with MyKuali (Amazing Penang White Curry Instant Noodles that took our country by storm~!) 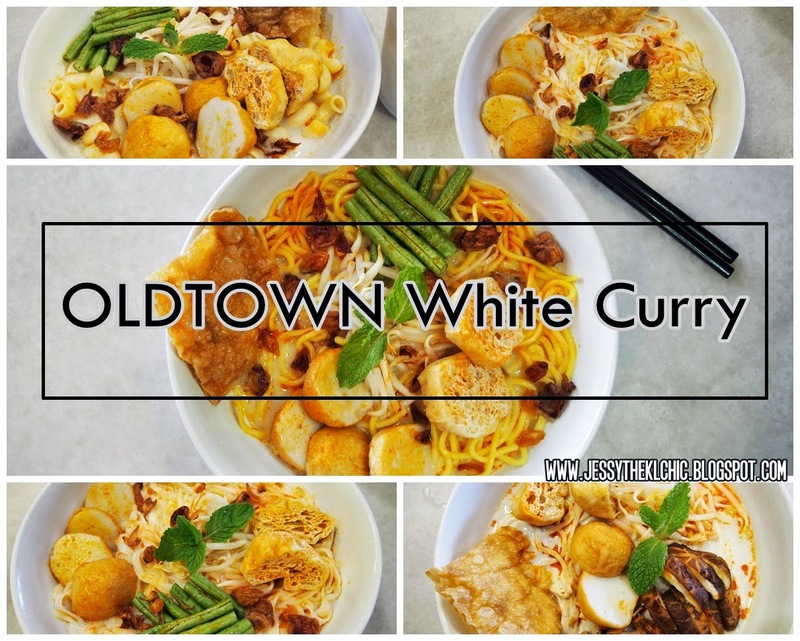 to bring us a special food series called OLDTOWN White Curry. If you're a fan of MyKuali, this firey promotion is not to be missed. OLDTOWN will be using MyKuali's paste along with their own noodles! Curious about the food? Want to know more? 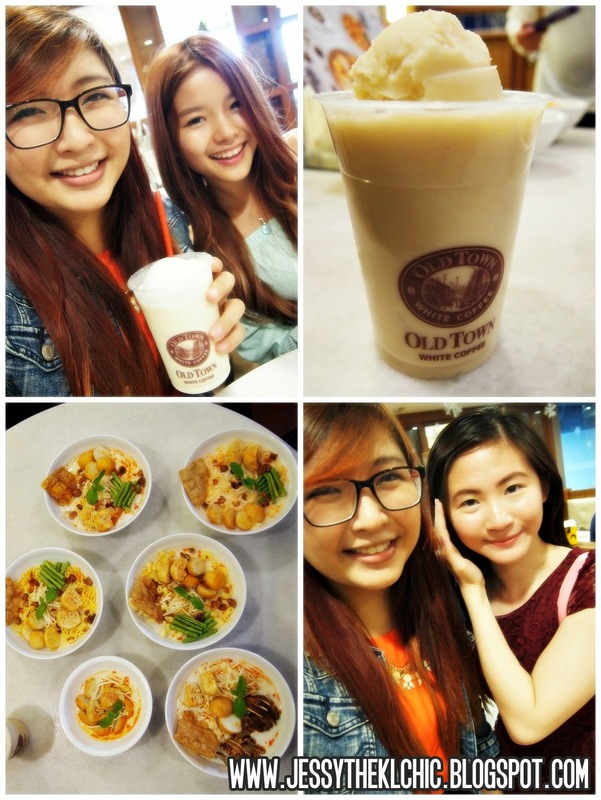 As all of us Malaysian knows, OLDTOWN White Coffee is one of the largest local cafe in Malaysia. I just went there last week and their coffee with half boiled eggs and toast, are one of my family favourites. As I mentioned above just now, MyKuali and OLDTOWN White Coffee is currently having a collaboration together which launches their new White Curry Series which has a range of five various noodles : Mee , Meehoon, Macaroni, Pan Mee and Hor Fun. (Pan Mee and Hor Fun is made by their own factory's recipe). This promotion would begin now until 31st of January 2015 or while stock last lo. I got to try the White Curry first hand at the food review. This White Curry series is a mixture of MyKuali's White Curry Paste with OLDTOWN White Coffee's soup base and noodles. The prices range from RM 7.90 - RM 9.90 for a bowl of White Curry Noodle. I EXTREMELY love the White Curry Pan Mee and Macaroni! If you don't feel like having noodles and just want something with curry to munch on, then I will recommend this, White Curry Fish Balls. This can be shared among friends or family during if you guys want a little more extras during the meal. Besides food, OLDTOWN also launched a new drink made available just for this special White Curry Promotion, Peanut White Freezy. This is perfect to help soothe down your hot tongue after the having the White Curry. There is vanilla ice cream on the top of the drink and is filled with soya based peanut ice blend at the bottom. If you're a peanut fan, this would be heaven for you. Craving for some coffee to end your meal with? Well, the Signature White Coffee (Cold/Hot) is available as an Add On to any of your White Curry Noodle Dish at RM 2 (Regular Size) & RM 3 (Upsize). Make sure not to miss out on this promo, remember it's here for a limited time only.